Once again she has rekindled an old memory. 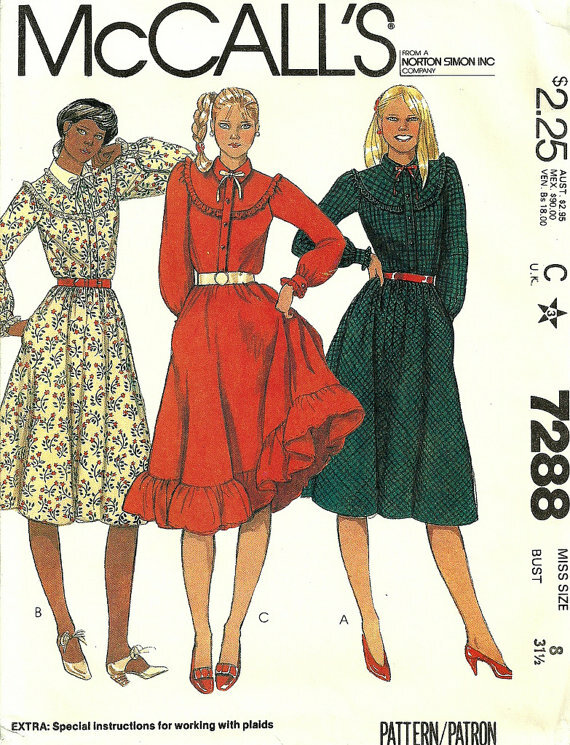 I just read JenX’s post 80s-Fashion Prairie Dresses. Oh yes, she went there. I was going to comment on the post, then I realized it would be a page long so I decided to respond with a post. I lived my entire high school years in a prairie dress. I even wore a version for homecoming and an all white ensemble for my junior prom. Oh, I’m wearing a plaid one with a lace collar in my senior picture. The 1978’s version. It was made with brown calico complete with matching vest. Actually I had a little trouble with it so my mom’s friend finished it for me. I started getting a little more sophisticated with my prairie dresses. Brooke and I are the same age so of course I wanted to look and dress like her. 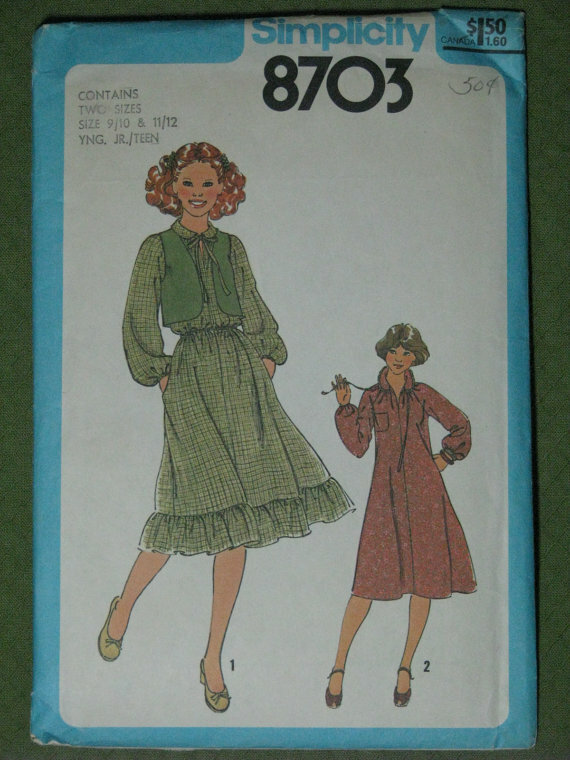 I have several Brooke Shields patterns, but I’ll save my passion for her patterns for another post. Do you have her workout wearables pattern too? I will not elaborate on the dance moves set to “Oklahoma”. It was just sad and nothing like a broadway musical. I probably have 10 sewing patterns for some style of prairie dress. I later realized that I only needed one. I must admit that the curse of Gen X is that I continued to wear a version of the prairie dress until after the age of 35. I know, I know! In the 90’s I was making pretty good money and could afford a Carol Little version. I wore it so much that it started falling apart. In 1993 I was in a car accident in front of Quail Springs Mall. I was wearing a beautiful silk one. It had black glass buttons down the front. I broke my wrist and had some other injuries so they had to CUT it off of me. By “they” I mean the good looking ER doctor. I don’t care that he was good looking he ruined my prairie dress. It was devastating. Anyway, I was able to save the buttons. And so that is the short version of my life with the prairie dress. 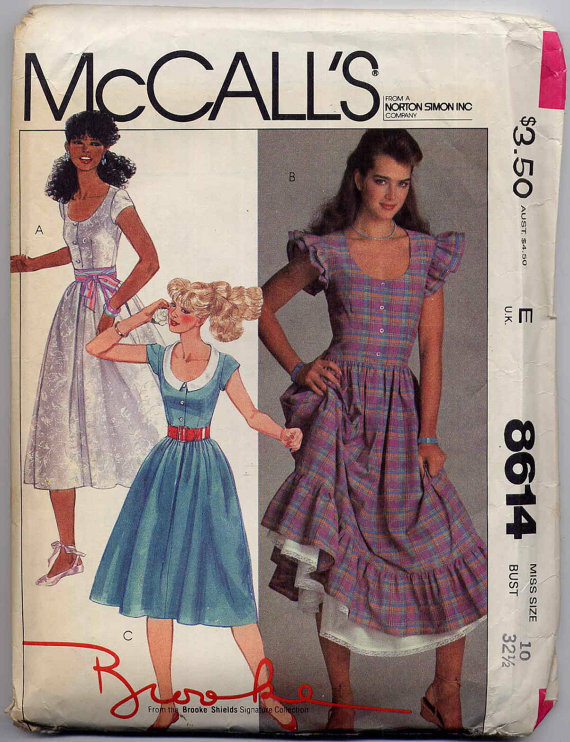 There aren’t anymore of them in my closet, however, I still have my sewing patterns. These are out of price range but a girl can dream. I have a feeling the girls at Double D are Gen Xers too. Have a great day and long live the prairie dress! You aren't going to believe how hard I'm laughing right now. The WHOLE TIME I WAS WRITING THAT POST I WAS THINKING OF YOU!!! I am digging the dresses in your future. I'm posting this to the blog's FB page. Share your prairie dress memories girls. 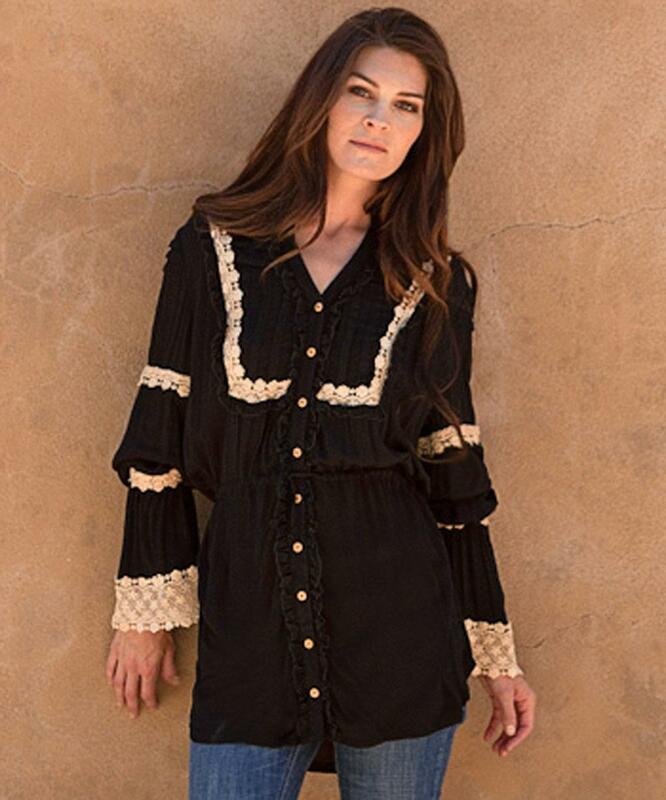 I love the blouse. When it comes time for Kaybrie's land run. I WILL NEED HELP!! !